We have a team of professionals ready to monitor your property day or night. Remote Response CCTV isn’t for every customer, and we wouldn’t expect this. Remote Response is a lot less complicated and much cheaper than many people would expect. You can also find peace of mind in the fact that you have a real person continually monitoring your property so you don’t have to. Having CCTV for your business is a fantastic deterrent and should not be underestimated. But what happens if we want to be proactive and catch criminals in the act? Or better still, before the crime even takes place? By accessing our secure remote CCTV monitoring station you can utilise qualified security professionals on hand to ensure the highest levels of security for Business CCTV 24/7. It is widely accepted that the UK has one of the highest proportions of CCTV Cameras relative to population; around one camera for every 10th person. Despite this huge number of CCTV cameras in operation, many people do not view footage proactively or leave cameras unmonitored. This dramatically reduces your chance of gaining high quality CCTV data that can lead to solving potential crimes or issues! Remote Monitoring CCTV Services from Zone CCTV aim to change this! Through utilising our industry contacts ZoneCCTV is proud to announce the launch of our remote monitoring CCTV service whereby we have trained security professionals on hand 24/7 in a secure location to be on hand to help with any potential security hazards that arise when you are unable to monitor your CCTV yourself. How can remote monitoring work for you and your business? Setting up a high quality remote monitoring system to your business is simple. ZoneCCTV has already done all the hard work. Upon enquiry and installation of one of our business CCTV packages, one of our engineers will connect your CCTV systems DVR to your internet connection via an Ethernet cable. Your internet connection will then securely transmit your CCTV images to the ZoneCCTV remote monitoring offices. You can also choose whether you want 24/7 monitoring, or a simpler package whereby your system is only remotely monitored where the premises are closed. 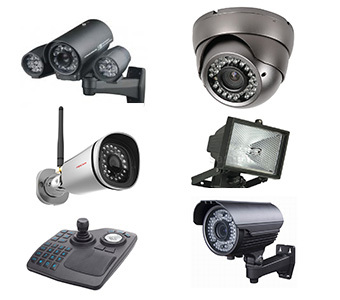 What capabilities do remote access CCTV engineers have? Despite being a sizeable distance from your property, our remote response CCTV engineers have a variety of capabilities to assist in keeping you and your business safe. As soon as an intruder activates an alarm on your site; be it heat or motion sensors as part of your CCTV system or through more traditional door and window alarms. Our complex technology automatically re-routes the image onto one of our engineer’s screens. From there, we are able to continually monitor activity through switching cameras, rerunning recent footage ,or even moving cameras independently if your premises utilises pan-tilt and zoom technology. We can also communicate with intruders via installed loudspeakers. If our initial assessments deem the incident to be more serious and in need of police assistance. We then call the police for you. We ensure that we use local police numbers so you can be sure the police will always be on hand as quick as possible. Zone CCTV also finds that as we are catching events in real time the police become naturally more responsive. If you would like to find more about Remote Response CCTV as part of your business package, or potentially part of a CCTV upgrade. Please contact one of our engineers. One of our highly qualified local engineers will be able to walk you through all your questions and arrange an appropriate time with you to come and visit your property to undertake a full assessment.